As self-publishing, independent authors, to typically relish in the freedom we have suddenly be handed, allowing us to truly own our books, cradling and nourishing them from the very first word, all the way until we usher them out the door through self-publishing platforms such as Amazon or Barnes&Noble. I am sure you’ve heard the saying before, that freedom is never free, however, and while not really meant within that context, it is certainly true for self-publishing authors and contains a nugget of wisdom we should all take to heart. As a self-published author myself, I know how much work goes into a fully finished product, even in an all-digital world. As an eBook formatter for hundreds of independent authors, I also constantly witness the struggles and problems that authors fight. Whether its questions arising on my formatting blog tutorial, my book Zen of eBook Formatting, or through email, I am witness to the tribulations of many writers. Since I am also a reader, constantly looking for new books to feed my mind, browsing Amazon’s Kindle section further helps me understand the situation that presents itself to self-published authors. This biggest question, I believe, every self-publishing author needs to ask themselves is this: Simply because we can handle everything ourselves, does it also mean that we actually should do so? Writing a book is one thing. Editing a book is a different thing entirely. 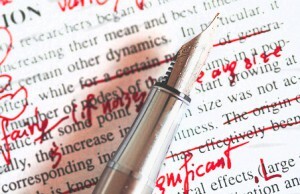 Too many authors either do not understand the process of editing, or they discount its value. Having a bit of ego is good if you’re a writer, but do not let it interfere with your actual work. It is fine to love what you are writing, but make sure you never fall in love with it! What I mean by that is that if you get to the point that you believe no one should have a right to touch your writing, that every comma is exactly where it should be, and that every word in your prose is perfectly concise and where it should be, the odds are that you are overestimating your abilities. Even Mark Twain had an editor. He did not like it, but he did. What he realized, however, is that a different set of eyes brings out shortcomings in writing. Ambiguous expressions, sentences that may not be quite as clear as they were in the writer’s mind, and much more. Even the best writers jump to conclusions because they have this picture in their mind that they try to relay to paper. The picture in their mind is complete in its own way, so they fill in the words to describe the image. But every once in a while, the writer will overlook a small detail that he takes for granted because of the image in his mind. An editor can help in such cases, pointing out the omission or simply helping to clarify the written words through different word usage or sentence structures. The problem is that too many authors see an editor as the enemy, which they are not. Too many authors see editors as critics with the sole malevolent purpose to tear their work apart and violate it. In the self-publishing world, nothing could be further from the truth. Look at an editor as a fresh set of eyes who can help you streamline your writing, creating a better experience for your readers. After all, you are paying the editor, which makes it perfectly okay for you to reject their comments. There is nothing wrong with looking at the notes of an editor and flat out rejecting some of them because they misinterpret your intentions. But for every one such case, I am certain you will find countless others where the editor’s suggestions will make you think about your writing some more, and perhaps improve it as a result of it. so, why would you want to miss an opportunity to make your writing better? A lot of people mistake editing for proof reading, when they are, in fact, two very different things. Naturally, a lot of editors do correct typos and spelling errors, because it often comes naturally as they go through your words with a fine-toothed comb. However, their job is to look at the meaning of your writing, not its fundamentals. That’s the job of a proof reader, who will ignore all things related to style and grammar, but will instead scan each word in your manuscript to make sure it is spelled according to dictionary standards. This requires a special skill set, different from an editor’s, because a good typesetter is absolutely dictionary proof, which means he has internalized the correct spelling and exact meaning of roughly 500,000 words, plus all of their proper tenses, inflections and cases. You may confuse your word processor’s spellchecker with a proof reader, but they are not the same thing either, because the spellchecker only looks if the word as such is a valid spelling. It does not determine, whether you are using the proper spelling for the respective word you are trying to us. It will gladly accept the word “hair” instead of “hare,” whereas a proof reader will catch this error and correct it for you. Having a book that is free of spelling errors and typos is the epitome of publishing and should be every author’s goal, always. Also high on the list is the formatting of eBooks—and the creation of a print layout, for that matter. Once again, you are looking at very specific skill sets here, and unless you do have the technical wherewithal and understanding of what eBooks are, what their technical implementation looks like and what the resulting limitations are, it might not be advisable for you to tackle this end of the publishing pipeline yourself. 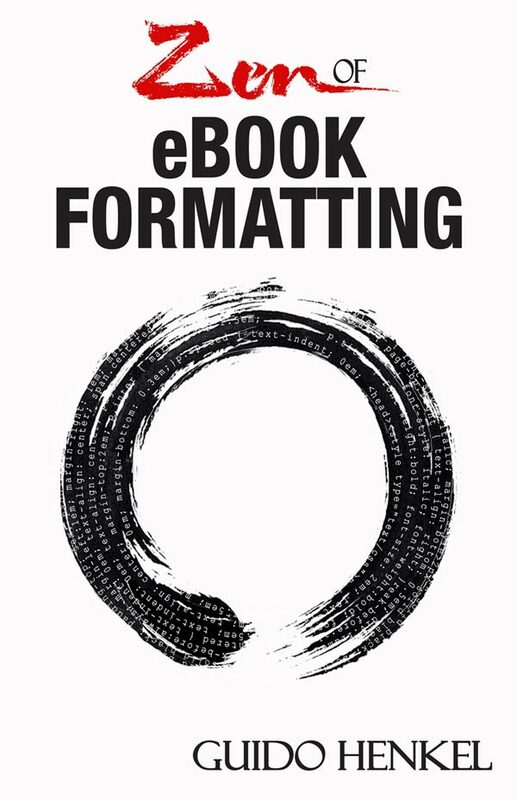 As you undoubtedly know, I’ve long been an advocate for proper eBook formatting, trying to enable authors with my Take Pride in your eBook Formatting blog tutorial, as well as my book Zen of eBook Formatting. However, the field of eBook formatting is becoming trickier by the day, and more and more it requires very specialized skill sets and knowledge. With every new eBook reader in the market, with every update to the software readers Amazon, Barnes&Noble or Kobo offers, and with every new cell phone and tablet that enters the market,the playing field becomes harder to control. When the Kindle was first released, things were easy because it was the target platform. In today’s world Kindle is not even Kindle any longer. There are so many device generations, each of which behaves differently, and there are so many software Kindle readers, each with their own flaws, that formatting a book for the Kindle alone can be a tremendously challenging—and time-consuming—task, depending on your book. But the Kindle is no longer alone. There is the Nook in its countless iterations, there is the Kobo reader, there are hundreds of cheap knock-offs from China… the list has gotten endless. To ensure that a book displays absolutely perfectly on all devices has become a magic trick, almost… something that is almost unattainable for certain books, because there are too few control mechanisms in the eBook format themselves. And yet, nothing upsets a reader faster than a shoddily formatted eBook. It may just be the number one reason why readers put down a book prematurely, because they cannot see beyond the flawed text flow, the jumping margins, the inconsistent text size, the lack of proper quotes, or the broken indentations. And once a reader has put your book down, the odds are they will never pick it up again, and, what’s even worse, they may never buy another one of your books in the future. Naturally, for all these services you can hire professionals whose job it is to make sure your work is treated professionally. These collaborators will help you on your road to a successful book with their advice, experience and services. It is for that reason that I have been offering eBook formatting services to authors and publishers for many years; to make sure that digital books will get the same respect as their print counterparts. If you want to keep up with my eBook formatting work, don’t forget to subscribe to my Newsletter. That way I can keep you updated about the latest developments, updates to my book, code snippets, techniques and formatting tips. 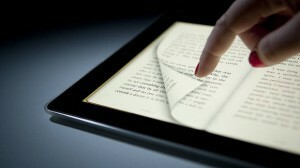 The announcement of the next generation of Amazon’s Kindle has set the eBook world abuzz once again. Not only are the new models more attractive than their predecessors, but they also expand the market in new, untapped territories. For authors, this is great news, of course, but often, where there’s light there’s also darkness. In this case, the cloud on the horizon lies in the technical specs of these new devices. With a bit of worry I have observed over the past year or two that the eBook market is becoming more and more fragmented. In a very bad way, it reminds me of the mobile game space I have also been working in, where, at times, it was necessary for us to build up to 200 different versions of the same app to make sure it properly supports all the handsets in the market. While the eBook market is not nearly as bad, of course, there is an increasing trend of changes – or call them features and improvements – that can work like sand in a ball bearing. Fortunately we have to contend with only two generic eBook formats at this time – MOBI/KF8 and EPUB – and it is easy enough to build eBooks for both formats from the same sources. However, since the inception of the iPad, problems have cropped up that force eBook publishers and formatters to think very hard about what it is they want to do and how to achieve the desired effect. Fixed-layout books and their particular quirks, and the lack of a general standard to create them, is just one of the issues publishers have to tackle these days, and it is exacerbated by the fact that even within the Kindle line of products, it is not possible to really create specialized builds for each platform. A fixed-format Kindle Fire eBook will inevitably make its way onto a regular Kindle – where it doesn’t belong – because Amazon does not give publishers the possibility to create specialized builds. As a result Kindle owners will look at a book that is horribly mangled and probably unreadable, while it looks mesmerizing on a Kindle Fire. I am not sure in whose best interest that is, but that’s the way Amazon does it. The reason I am writing about this is because according to Amazon, the new Kindle Paperwhite line of models offers 65% more pixels. In plain English, it means it has a higher resolution than previous Kindles. That is really great news in regards to sharpness of the text, of course, but from a formatting standpoint it causes certain problems. An image that was perfectly sized for the Kindle’s 600-pixel resolution to date, will suddenly appear much, much smaller on the page. In many instances, this will not be overly dramatic, but if you use images deliberately as a design element, it will force you to rethink how you approach images in eBooks. Just image how tiny the image will look like when it’s being displayed on the new Kindle Fire HD with a resolution that is three times as wide as that of the original Kindle. How would you like your artful chapter heading to look like? In the past I have sized images to suit the 600 pixel screen. It helped keep the file size in bay – why bulk up a book’s footprint for no apparent reason, especially since the publisher is being charged for the delivery of the book based on the size of the file. This approach may no longer work, however, if you want high quality images across the board. I’ve been therefore rethinking my strategy and going forward I am sizing images to a higher resolution and then determine their on-screen size, using scaling through my CSS style sheet. This allows me to make sure the image will always appear the same on the display, without degrading it on higher resolution screens. If anything, it may degrade the quality scaling images down to the older Kindle models. If Amazon offered platform specific builds for their line of Kindles, this would not be a problem, but things being what they are, a one-size-fits-all approach is necessary, and hopefully, this will do the job. In many ways, I wish that Amazon would make me part of their Kindle design team or at least would allow me to work with them. After all, I’ve had over 35 years of experience as a software engineer in arenas that were a whole lot more complex than an eBook reader. Many of you may remember my post 10 Things Amazon should correct in the Kindle from a year ago, and it is rather disheartening to see that virtually none of these issues have been addressed. In fact, if you look closely, not a single one of the issues has been addressed to date. While I have not seen a Kindle Paperwhite at this time, I doubt there will be many changes in the firmware that would address these issues. It seems to be more of a change in terms of the form factor and a hardware upgrade than a rework of the actual reader implementation – but I could be wrong, of course. To me as a software engineer, author, publisher and professional eBook formatter, the omissions are truly painful to behold. amazon has done great things for books, by truly establishing eBooks as a reading medium, making it the new mainstream standard, all the while opening the doors for authors to publish their own work. All great achievements and I honestly doff my hat to Amazon for their incredible foresight and the vision they had during the past three years. That, however, makes the technical shortsightedness all the more prevalent. All of the issues I raised before have been around since day one, and clearly someone within Amazon should have championed their correction. It did not happen. Not even when people like myself and others have called them out. Amazon has never been a software or hardware developer before the Kindle and as such it was to be expected that there would be hiccups in the product and the delivery. No big deal. However, the market has reached such a maturity, that glitches like inconsistent text justification, the lack of transparency in PNG images and other omissions become glaring issues that should have been resolved two years ago. The Kindle has to mature and it has to mature with foresight or we are gong down the road of mobile games, where you need 200 individual builds of an app. There are great developers out there who would have been happy to assist Amazon in their objective, but instead of embracing them, Amazon has often shunted them. A command-line MOBIGEN program is just not the same as the luxury you get out of a program like Calibre. Amazon should have long looked into creating high quality content creation tools that help authors to increase the quality of their output. Too many self-published books are still created with an MS Word export or an InDesign plug-in that cause more problems than they solve. Amazon should also have long started to put in place platform-specific delivery of eBooks, along with was for authors to properly set up books for each of these platforms. Amazon should also have expanded their eBook format in ways that are truly practical without having to jump through hoops. The introduction of KF8 was a horrid debacle to say the least. Confusing authors and readers alike, the implementation is not what it should be – many things could have been implemented much more efficiently, making it easier for formatters to prepare the eBooks while also giving them a certain level of control over the appearance of their content. If you’ve ever tried to take a look at a black and white line-art image in the “Night” setting of your Kindle, you know what I mean, and the whole image sizing issue puts the dot on the i, I think. Yesterday, Amazon released information that with the introduction of the Kindle Fire tablet they will also switch to a new eBook format. Anyone who will check out the quick overview will certainly be pleased and also notice that with the upcoming KF8 eBook format, Amazon seems to have addressed virtually all the shortcomings I have raised in my blog post 10 Things Amazon should correct in the Kindle that I posted a while ago. And yet, I am not happy. Why is that? One would think with these issues out of the way, the Kindle should finally catapult itself to the top of the eBook capabilities, right? Well, yes and no. The problem lies in the details, the fineprint, so to speak. The big problem with the introduction of the KF8 format is that Amazon is doing a pretty hack job with this, I am very sorry to say, because, according to Amazon’s announcement and FAQ, none of the older Kindles will be able to support this format. Why is this a problem? Well, as a professional eBook formatter, the question for me is, how am I supposed to deal with this? Instead of creating the foundation for one rock solid Kindle platform that has powerful capabilities, Amazon is now going down the road of platform fragmentation. Already we had issues that the Kindle 2 and Kindle 3 had capabilities the Kindle 1 did not possess. It was a big problem because things such as tables were unusable, despite the fact that the capabilities were built into the K2 and K3. Since authors have to make sure they cover the largest possible market share, however, using tables made no sense, as the Kindle 1 did not support them and rendered them in a useless, garbled fashion. With KF8, things will get even uglier. We now have three different sets of capabilities. The Kindle 1 at the bottom end, the Kindle 2 and Kindle 3, and then the new Kindle 4 and Kindle Fire. This is not a smart move on Amazon’s behalf and reeks of either laziness or engineering ineptitude. From a programming standpoint none of the features introduced in KF8 are in any way supercharged capabilities that require special hardware. Let’s face it. eBook reader software is, in effect, nothing more than a specialized web browser. It is not rocket science! Therefore, Amazon’s decision is hard to comprehend. Web browser implementations have been written a thousand times — I wrote one myself 10 years ago for use in a computer game. There are reference implementations out there that they could have used for free, all things that should have made it possible to retain a unified platform. So, why could’t the software engineers at Amazon make sure they introduce these capabilities in all devices through firmware upgrades? It is a very short-sighted decision in my opinion, that not only shortchanges the end users, but causes a lot of problems on Amazon’s end as well. They will now have to begin offering and delivering different versions of the same books – one formatted according to the old, outdated MOBI file specifications, and another one formatted according to the new KF8 guidelines for this to make any sense. How does that make sense? So, not only will they now have to deal with publishers having to create and upload multiple versions of the same book. This comes at an additional expenses to authors and publishers, as they have maintain two versions of the book. But it also comes at the expense of Amazon, as they have to modify their existing pipeline to accommodate these multiple versions. To make matters worse, they will have to educate people which format to use for which device, and they will have to prepare – and possibly ramp up support staff, to answer all the customer questions stemming from this sort of confusion. As I said, I do not think this was a very smart move and it is not in Amazon’s best interest. Writing and updating the firmware for all existing Kindle platforms would have been a clean way into the future, without all the hassle that comes with platform fragmentation. I know what I am talking about – I’ve been programming for 30 years and I’ve been working in the mobile field for many years, where device fragmentation has gone rampant and costs publishers and cell phone carriers hundreds of millions of dollars every month just to support the insanity. I know, that for me, KF8 is a step backwards, no matter how attractive it looks at first glance. For the most part it is useless out of the gate because if it doesn’t work on all Kindle devices, it has no value to me and I suspect most of my clients. An important point was raised in the comments to this post that deserves a few additional words, I think. If you think, this means that all problems are solved with this, you can smoke that notion in a pipe. There is a big difference between could and should. Just because KindleGen 2 promises to convert your books, doesn’t mean you should, because the output quality will be dubious at best. 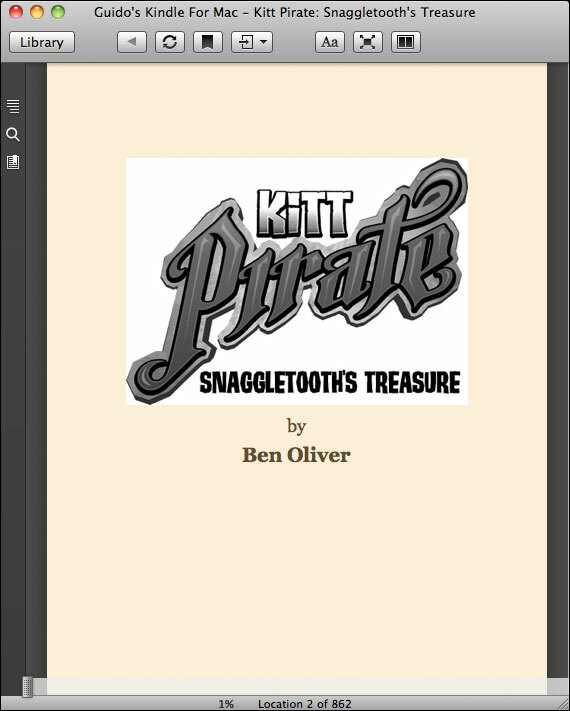 Of course, if you are part of the I-don’t-care-just-make-it-easy, Smashwords-adoring crowd, yes, that might work for you, but if you take pride in your ebook’s layout and formatting, this is not going to fly. Let me illustrate this with a very simple example. Say, you have an image and you add the float property to it, to have it embedded in your text with the words flowing nicely around it. When converting such a file, all KindleGen can really do is ignore the float property — which, coincidentally, all the devices do already. As result, on a Kindle 2 you will now have the image sitting on the left side of the screen with nothing surrounding it. Perhaps the first line of the text that was supposed to float around it will sit firmly at the bottom, creating a huge, ugly gap. Surely not what you had in mind. If you had properly formatted a version for MOBI devices, instead, you would perhaps have centered the image in this case and spaced it out a little more. That is where KindleGen’s auto-conversion will fail you miserably, because it cannot make decisions like that for you. Things will, undoubtedly get even nastier when your formatting is more complex than this one very basic example, and I would not be surprised if certain elements would even disappear entirely. Let’s face it, there are certain things the old devices simply can’t do if Amazon refuses to upgrade their firmware across the entire line of products. Just having some devices that support it and others that don’t is hackneyed at best. As a publisher you will have to look at the lowest common denominator for your product, and that is the long-abandoned Kindle 1, that has seen little love from Amazon in recent years. Sure, this is not a big problem if you have a novel without graphics or a special page layout. Fair enough, in that case you are really not affected by these changes at all. You will continue to build MOBI files exactly the way you did and ignore the new capabilities, because MOBI offers exactly the kind of functionality you need. Nothing wrong with that. When books become a little more complex, that is when the problems begin and they will very quickly become exacerbated. The bottom line — and the main point of my post — is that the way Amazon is approaching this is creating tiers of devices, each tier with different implementational limitations. And that, my friends, is a very real problem. I am a huge fan of the Kindle. Always been. I owned a first-generation Kindle and in my mind, the Kindle was every bit as revolutionary a product as the iPhone. A game changer. However, as great as it is, even the Kindle is not perfect. I am not talking here about buttons being too small or somesuch thing. I am talking about the software implementation in the device. Over the past two years I have formatted hundreds of e-books, as I’m sure you know. I have formatted books for NYT best-selling authors, for publishing houses, midlist authors and indies alike, and I have been able to study many of the idiosyncrasies of the ebook readers in the market close up. The Kindle has a number of firmware bugs that have unfortunately not been corrected in its three-year lifespan or its three platform generations. At first I was always willing to admit that it was easy to forget that Amazon is simply not a software company but a retailer. So the experience pool is simply not there and mistakes happen. As the competition mounts we can no longer be so forgiving, I suppose. Apple shows everyone how it is done with an ePub implementation on their iBooks platforms that not only lives up to spec for the most part, but extends it with significant improvements. Apple may drop the ball entirely on the store side of iBooks, but that’s a different story for another blog post. I think, however, that Amazon can no longer afford to let things like these firmware bugs slide and should take steps to address them properly. Not only in the current or upcoming platform generations, but backwards also, to make sure all Kindle users enjoy the proper, highest quality e-book experience they are looking for. Here is my list of 10 Things that Amazon should correct in the Kindle. Let’s start with a simple one. Image transparency. The Kindle supports PNG images but not the format’s transparency settings. Instead it renders the background white. This would be a simple software fix to correct the issue and could be done in a few minutes. In fact, it is surprising that this bug exists at all because PNG transparency is one of the image format’s most basic features. Notice how the background of the image is white against the sepia paper color, while it should be transparent. Em-spacing. As a book formatter em-spacing is the key to all good formatting, because it allows for proportional scaling of the content, which is key for applications in which text is free flowing – such as e-books. ?Currently the Kindle miscalculates the size of em entirely, making it about 4 times larger than it should be. Proper formatting using em-spacing is therefore problematic on the Kindle and I am sure everyone agrees that spacing in pixels is unacceptable in a world where display sizes range from the tiniest cell phone to the largest tables and desktop screens. Margins are also a sore topic on the Kindle. Not only are margins calculated incorrectly as a result of the em-spacing error mentioned above, the Kindle completely ignores all margin-right settings. To make matters worse it ignores all padding-right information also. As a result it is impossible to space text properly in various occasions. Border properties are also ignored in many cases. Depending on your Kindle generation or software you may or may not see borders that have been created using the border style attributes in the e-book. One of the biggest issues, perhaps, is text justification. 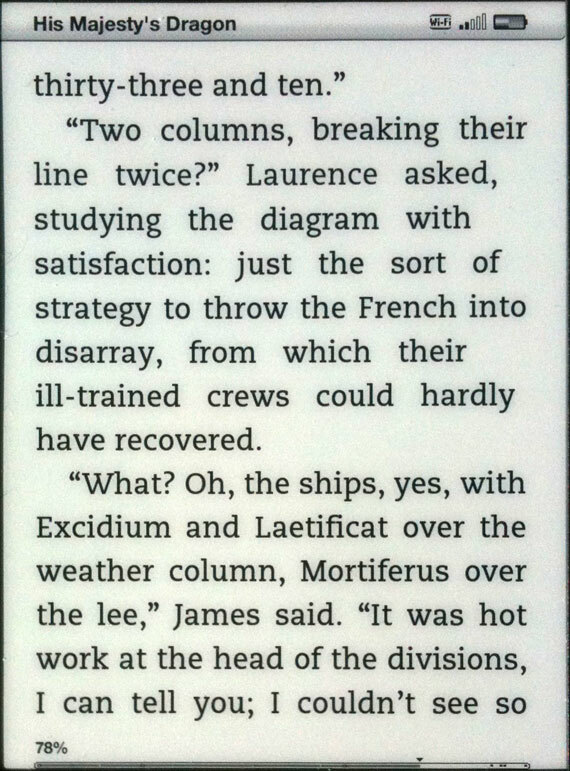 The Kindle does not properly justify text. Every few lines or so it will suddenly create a ragged line, throwing off the formatting. This is clearly a software bug that should have been addressed long ago but for some reason it hasn’t been addressed even though it is at the heart of the most basic function of the Kindle, the actual flow of text paragraphs. Notice how the lines in the top paragraph are ragged when, in fact, they should be fully justified. Going along with this issue is the lack of hyphenation. While the Kindle software reader software support hyphenation, the Kindle devices do not. Now, I can understand that perhaps the dictionaries necessary to do proper hyphenation may be too large to fit on a Kindle or may be too processing intensive – though I honestly doubt it, giving modern software technologies – the fact that the Kindle does not even support HTML’s soft-hyphenation is really a disappointment. Hyphenation is integral part of text flowing and I am not sure why it has been so overlooked for all this time. Early generations of the Kindle also do not support tables. When at first the Kindle arrived and was used for novels mostly, this was perfectly fine, but as the acceptance of e-book readers grows, so does the diversity of the books, and, let’s face it, text and reference books need tables. There is always a need to be able to tabulate content, something the Kindle makes impossible. While the current Kindle generation supports tables, it is a feature that cannot be used because legacy readers do not. This feature should be introduced to the Kindle 1 retroactively with a firmware upgrade also to ensure uniformity across all generations. Another point of contention is object floating. The float property is not part of the mobi e-book specifications, but let’s face it, these specs are older than your last computer. Amazon has bought the company that developed the mobi e-book file format but sadly the development and extension of the format has completely seized, making the Kindle the only e-book reader with a completely outdated e-book format. Before you tell me that Amazon also allows ePub submissions at this point, let me remind you that Amazon converts these ePub files into mobi files before delivering them to users, stripping the e-books of all ePub specific features. ?The float properties would allow text to float around images, giving us not only the opportunity to insert images into the text, but they would also make graphical drop caps a possibility at last. What is also missing from the Kindle is a way to properly deep link to other books in the Kindle store. Sure you can use a link to Amazon’s website and insert it into your e-books, but did you ever look what happens? The Kindle tries to display the Amazon website on its screen, rendering it garbled and virtually unreadable. Why not give Kindle authors the chance to link to page that has been optimized for the Kindle like the one the Kindle pulls up when you search and purchase a book directly on the device. ?I cannot tell you how many emails I have exchanged with Amazon on this subject but for some reason the support staff does neither seem to understand the issue, nor care much about it. I was continually referred to use either regular Amazon web links or some XML links that the Kindle could not even interpret properly. ?Since upselling more books would be in Amazon’s interest every bit as much as in the authors’, I am flabbergasted at Amazon’s disinterest in providing such a specialized deep link. This is what a deep link to the Amazon store looks like on the device. Not very useful, is it? Most of it is not at all readable. Last, but not least, Amazon should spend some time to make sure the software versions of their readers are actually representative of the devices. They do have the best software readers out there — don’t get me started on the Nook software reader that can’t even center text and will crash in 9 out of 10 times — but the way a book looks in the reader is not representative of the device at all? Why is that? Just use the same fonts, the same firmware routines and things should look identical. It is called code portability and I’ve done it for 10 years on cell phone games, making games look the same on hundreds of different phones. As you can see, these are some basic flaws and it is surprising that they have been sliding by for so long. The things in question are not tied to hardware issues at all. They are all simple software bugs that can be addressed without too much of a hassle. It is really not rocket science. All it requires is a little discipline. If you agree with me, maybe you would join me in telling Amazon about these issues and reminding them that in order to remain the market leader, they will have to make sure they continue to deliver a superior experience. Send them an email at kdp-support@amazon.com. Send them a link to this bog post or pick your favorite flaw and ask if they could please fix it. Maybe together we can direct Amazon’s attention towards these software errors that truly deserve to be fixed.